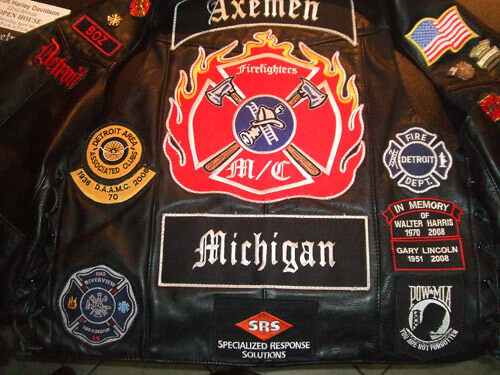 When you talk about positive role models you must put the members of the Axemen Professional Firefighters Motorcycle club at the top of the list. 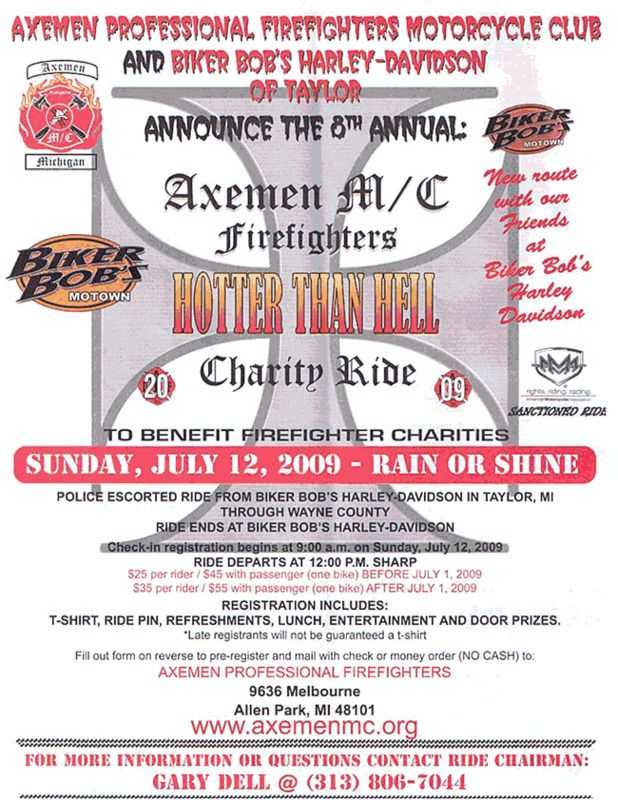 In a section of Detroit, where poverty and despair are a part of daily life, a group of Firefighters who love to ride motorcycles have opened a club house. In a section of the city that used to be a Christmas Tree of diverse nationalities these guys have turned on the lights again. 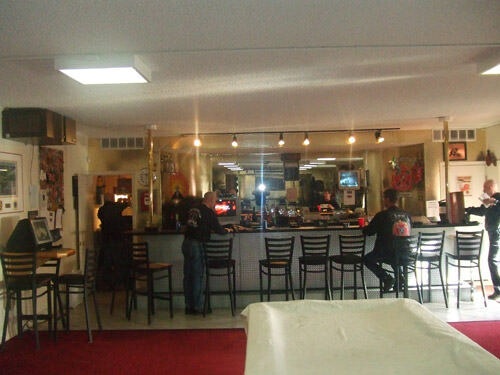 Their Club House is the first new positive thing that has happened to old Delray in decades. Across from Holy Cross Church on South Street they purchased the long abandoned Solosy Funeral Home building and transformed it into an architectural masterpiece. The Club House is a thing of beauty. The front facade was designed to look like an old firehouse. Neighborhood people welcomed this fun loving group of unsung heroes. Club members from all over southeastern Michigan are active in Chapter No 1 of this nationally affiliated group. 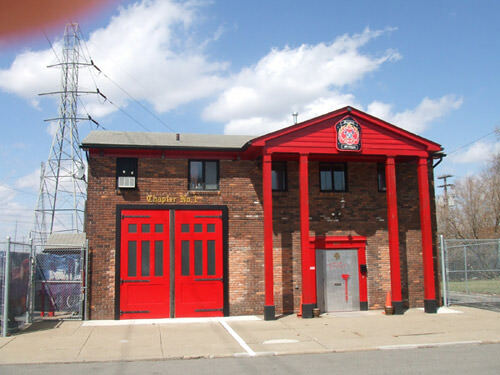 I have been retired from the Detroit department for 16 years and not long ago I knocked on the door and asked if an old Firefighter could come in. The Chief of Riverview, who said his name was Boz, said heck yes you are always welcome here. It was a great night for me. It was not long before the night bartender came in. He was an old running mate, Danny Jablonski. There was good a mix of black and white Firefighters which is the strength of this club. They are people who do positive things. Their lives are dedicated to helping people when they are working as Firefighters and also by the charities they are involved with as part of the Club’s work to do positive things. On the wall was a plaque that honored Walt Harris who lost his life in the line of duty not too long ago. Walt was the Chaplin for the Axemen Club. 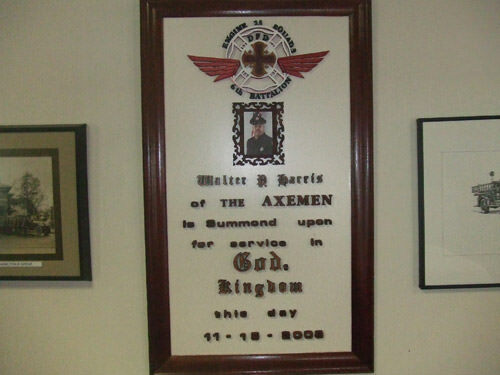 I was told that the Axemen were still watching over Walt’s family. They were influential in getting Walt’s son to throw out the first pitch at the Detroit Tiger’s opener this year. 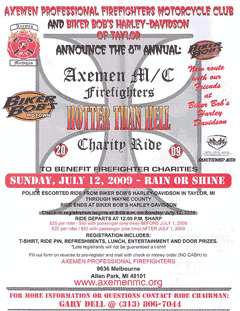 Checkout the flyer they gave me that promotes the annual Charity ride that is called “Hotter Than Hell.” It is scheduled for Sunday, July 12, 2009. Get involved and send a donation. I applaud this group of generous giving Firefighters. What they are doing is beyond the normal call of duty. 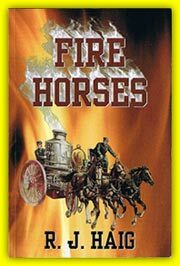 They are truly the type of roll models needed in these troubled times. I salute them.